Please note that the following class tuning changes are still in-testing. Ursa Major now lasts 15 seconds (down from 25 seconds). Bestial Wrath now lasts 15 seconds (up from 10 seconds). Black Arrow, Explosive Shot, and Serpent Sting damage increased by 25%. Dragon’s Breath damage increased by 150%. Flamestrike damage increased by 50%. Stance of the Fierce Tiger now increases all damage dealt by 10% (up from 5%). Sword of Light now increases damage dealt with two-handed melee weapons by 30% (up from 25%). Avenger’s Shield damage increased by 30%. Bastion of Glory now increases the healing received from Word of Glory by 8% per stack (up from 6%). Additionally, Mastery: Divine Bulwark now adds 8% to Bastion of Glory (up from 6%). Tier-18 2-piece set bonus for Protection Paladins now grants an absorb effect equal to 5% of maximum health (up from 1.5%). Tier-18 4-piece set bonus for Protection Paladins now triggers Grand Crusader. 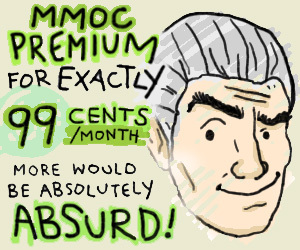 Mastery: Molten Earth damage has been increased by 11%. Ascendance now has a 2-minute cooldown (down from 3 minutes) for Elemental Shaman. Drain Soul damage has been increased by 50%, and now causes all other damage over time spells to instantly deal 50% of their normal damage (up from 40%). Haunt damage has been increased by 25%, and now increases periodic damage dealt by 35% (up from 30%). Chaos Bolt, Conflagrate, Immolate, Incinerate, and Shadowburn damage increased by 5%. Bastion of Defense now increases block chance by 15% (up from 10%). Tier-18 4-piece set bonus for Arms Warriors now increases the tick rate of Rend by 33% (down from 50%), and fixed a bug where it was granting double the intended increase. Fixed a number of issues with Sacred Draenic Incense for Mistweavers where it would benefit twice from effects which increase healing taken, and could bypass area-of-effect healing caps. Tier-18 4-piece set bonus for Discipline Priests now targets friendly targets to heal with the greatest % of missing health instead of current health. For example, the heal now prioritizes a player with 350k/500k instead of a player with 300k/300k health. Fixed an issue with Maelstrom Weapon that caused Healing Surge combined with the Tier-18 4-piece set bonus to heal for more than the intended amount. High Overlord Saurfang and Muradin Bronzebeard in the player's Garrisons now have chance to offer the Hellfire Citadel weekly raid quest when eligible. Ruined Construct: Jewelcrafters in a raid group should no longer see an option to insert 1000 Apexis Crystals into the Apexis Gemcutter Construct. Fixed an issue that could cause the demon invasion leading to Painmistress Selora appearing to not work correctly. Gorefiend should no longer be using other abilities while channeling Feast of Souls. Fixed an issue that could cause Fel Lord Zakuun to cast two Rumbling Fissures in rapid succession after bringing him depending on when he was brought below 30% health. Xhul'horac's Overwhelming Chaos now increases damage dealt by 15% (down from 20%) per stack on Normal difficulty. Combat rogues should now be able to correctly use Killing Spree again after receiving the Empowered Singularity debuff. Dreadstalkers should no longer incorrectly spawn on players that are not on the platform. Players should no longer be occasionally dropped off the platform when transitioning into the Twisting Nether. Fixed an issue that could cause the portal leading to the Archimonde encounter to not reappear in the raid instance after a soft reset. Fixed an issue that could cause Archimonde's Shadowfel Burst to not be removed correctly when the ability struck multiple targets. Ancient Artifact should now only appear when there are more than 20 players in the battle, and the item now has a respawn timer. Prophecy of Fear's visual effect for Doom Nova is now more subdued. Fixed an issue that could occasionally cause the client to crash while loading into an Arena. Fixed an issue where players were unable to queue for Pet Battles through the Pet Journal while in Tanaan Jungle. Fixed an issue where players were unable to queue as a party for Timewalking dungeons if one of the party members had already completed the Timewalking Bonus Event quest. 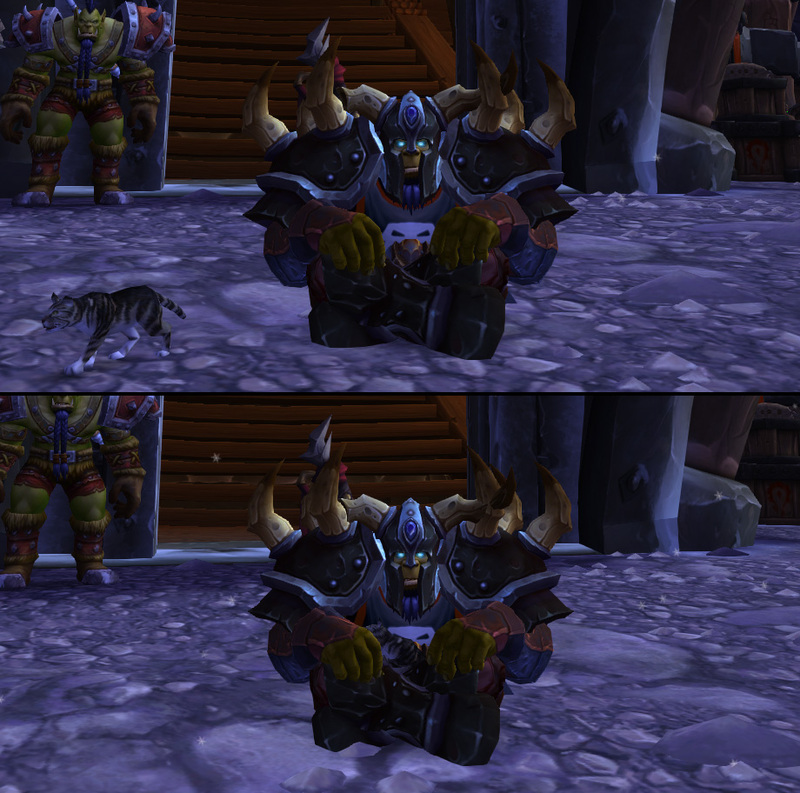 Players recently discovered that if you target some of the cat battle pets and do /sit, they will sit on your lap. Ghostcrawler has recently provided longer answers to some questions than tweets would allow. There's a clear difference in balancing/patching practices between Riot and Blizz. Riot has faster 2-3 week iteration cycles and Blizzard has 4-6 month content patches. What do you feel are the reasons for this difference (dev philosophy/game dev practices/game structure/manpower/management)? Blizzard was very concern about player backlash from too many changes on WoW. We were always worried about the returning player who couldn't recognize their shaman (or whatever) because the rotation was completely different. It's a tough edge to walk -- keeping current players engaged with enough changes, without alienating returning players. League players, even if they have mains, don't have characters in the same sense. The individual champions are a lot simpler, even though it is probably still very intimidating to return to League after a long absence and having no idea what all the new champs do. I'd say overall League players expect more frequent balance updates. I am explicitly not commenting on which approach is right or wrong. They are very different games with different philosophies. I also am not in tune enough with current Blizzard games to know what their balance philosophy is for Hearthstone or HotS. How much of an impact has modern day theorycrafting (WoTLK-era sophistication with SimC dev/RAWR) had on the design/development process in WoW? Do you think this has in general been a positive force for players and/or developers? I'll answer from the POV of League, though it is relevant to almost any game where players strive to "solve" it, even D&D. This might surprise you, but I don't think theorycrafting is healthy overall. It removes a lot of the fun and experimentation for players when the right answer is so readily available from Google search. (Often it isn't even the right answer, but players think it is which amounts to the same thing. Now I get that it is fun for players to theorycraft and author guides. It's fun for me too. I also get that players want to be armed with thr best knowledge to be the most effective. Being right is satisfying. I also get that those discussion help build community ties and give players a way to interact with the game when they can't actually play it. I also don't think there is a realistic way to chill it out. But if I could reverse time to a world where the information wasn't so readily available, I would. I'm not going to try to fight it though. It's here and will stay. You've mentioned several times in the past that your job is to remove barriers, etc, for your teams. I always wondered what you mean by that. Can you provide some general examples? These are not literal examples. Please don't read too much into them. Example One: A team feels like they can't make progress on a design idea because they don't have the buy in of the creative team working on lore. I get buy in from the lore guys or more likely tell them we're going to go ahead with our design and they can give feedback when it's done before we ship. Example Two: A team of designers feel blocked because they need a particle artists to add effects to a weapon or spell. I find them a resource they can borrow so that they can do the design they want instead of something designed around the absence of art resources. Example Three: A team feels like they have to run every decision by the design lead on the project. I get buy in that we can try out one of the team members in a junior leadership role so that they can be the accountable party on their project and not the busier top-level lead. Example Four: A team basically all agrees with the direction of a desgin but lacks the confidence to ship it. I talk through the design with them, get them to realize that they are in fact competent people who should trust their intuition and experirence. I usually use removing barriers as a contrast to giving orders. I have found that little of leadership is actually about commanding people. Maybe it's different on an actual battlefield. IDK. For me I have found that teams usually want to do good work, but something is gumming up the pipes so to speak. What's less likely to get a full sequel - League or WoW? Both seem like they'd benefit from a totally new game engine but can't just bin all their current playerbase. You can update or overhaul a game engine without asking players to switch games. Traditonally, sequels were really important to the business model because boxes made all the revenue. Neither WoW nor LoL is that dependent on them. On the other hand, the risk of ending up with a much smaller population in 2.0, or even worse, having a divided population over two different but very similar products is high. I think it only makes sense if you want to change the gameplay so dramatically that you need the 2.0 to really sell that. There are also advantages from a PR perspective - sequels get more mainstream coverage than updates.